Learn more about the Law Offices of Barbara B. Comerford’s practice areas. Since entering private practice in 1985, Ms. Comerford has made it her mission to approach her clients’ needs with kindness and compassion. Our staff reflects that commitment. Our associates, bilingual paralegals, and legal assistants take the time to listen and assist clients through the maze of forms and bureaucracy that can often overwhelm them. When our clients’ legal needs require outside assistance, we refer them to others who may be able to help them. In that sense, we take a holistic approach to the law. We understand that a call to our firm usually reflects months of anguish about whether to retain an attorney to help navigate through the disability process. Contrary to the public perception, most people call a disability lawyer when they simply have no other choice. Learn more about the Law Offices of Barbara B. Comerford. Ms. Comerford has more than two decades of experience in this field and has earned a reputation for working hard to ensure that her clients’ interests are protected and their rights zealously guarded. Barbara Comerford has been recognized as one of Bergen’s Top Lawyers in 201 Magazine and selected by Inside Jersey to its list of New Jersey’s Top Legal Minds. Please contact us for a free consultation. We look forward to helping you! If you are reading this, you might be considering filing for these benefits. If that is the case, I am sure you have been thinking about this for some time as your mind and/or body have been challenging your ability to continue working. As I explain to my colleagues in the law: this area of practice is the legal equivalent of going to the dentist, in that most people, contrary to what insurance companies and the government would like you to believe, hate the idea of not working because they know they will likely be judged unfavorably if they do. In almost 30 years of practice, I can tell you that most of my clients (and I have represented several thousand during that period of time) resist filing for these benefits until they have no other choice. Whether young or old, rich or poor, educated or not, we live in a capitalist society where the ability to support oneself is a badge of honor to strive for, not to be discarded. Most of my clients work well past the time they should because they want to feel productive, pure and simple. When their minds and/or bodies fail them, they are embarrassed and often ashamed. 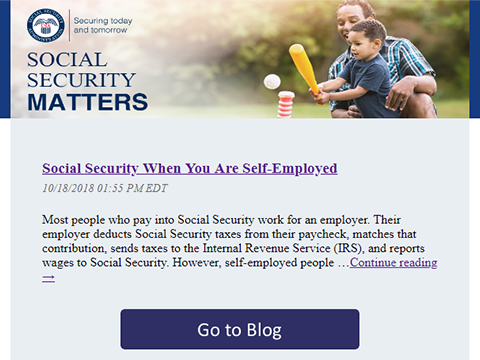 I find myself explaining to those who reach out to me that long term disability insurance, like social security disability benefits, is funded by them either directly through payroll deductions (such as SSD and some LTD benefits provided by employers) or with direct payment in the form of premiums to the insurance company. I share with them memories of my childhood where those of us who celebrated Christmas trekked to the bank with our birthday money or other meager savings to make deposits into our Christmas Club bank accounts. And before Christmas each year, we would remove those funds to purchase our Christmas presents. Friends and colleagues from other religious backgrounds share similar stories, all of which revolve around saving for contingencies. We all took pride that we saved for those events, and were not made to feel like thieves when we removed funds for that purpose. LTD and SSD contributions are the same: there to be used when the situation calls for it. We contribute to those disability funds with income derived from years of hard work and when we need it, we should be allowed to access it. Only those politicians in Congress looking to pave their campaign coffers with distorted headlines, or self-interested insurance executives would have the audacity to argue that these funds are only to flow one way, and that is to them. And trust me, neither the government nor insurance companies give these benefits away. If they did there would be no need for attorneys like me. We often have to fight years, armed with reports and records from physicians, vocational experts and others to finally obtain the benefits which my clients worked years to fund, and for which they are rightfully entitled. While the media too often focuses its attention on the small percentage of fraud in these systems, my concern is always for my clients’ daily reality: Facing foreclosure, bankruptcy and economic Armageddon while they try to keep their heads above water as they drown in medical bills (which their health insurers refuse to pay, if they are lucky enough to still have health insurance), delinquent mortgage or rent notices, and myriad other economic shortfalls. While the delay and denial of legitimate claims by SSA and LTD insurance companies may not make the headlines or the 6 o’clock News, it should. Most of my clients have paid FICA (SSD) taxes and/or LTD premiums throughout their work lives hoping never to have to file a claim. And when they have no choice but to do so, it is our society that should be ashamed of its finger pointing at them, not the reverse. The old adage, walk a mile in my shoes comes to mind. So please know, we will not judge when you call, we will try to accurately assess your chances of success, and if we think we can help you, we will. My clients often tell me they are embarrassed to tell their physicians how sick and functionally limited they are. They often feel rushed when visiting their doctor and don’t want to burden them with complaints. Again this goes to the issue of not wanting to appear sick, even to a doctor, since they may be judged as a complainer, or someone looking to go out on disability. Most disability attorneys I know carefully vet cases because they are decent and honorable human beings who believe enough in the system to maintain the integrity of the process. So my advice is: Tell the truth to your doctor about how and what you are feeling, even if it takes a bit more time in the office. But if you feel too pressured once in that office, come prepared for the visit with a written list of symptoms and limitations, side effects of medications and all aspects of how your illnesses (all your illnesses) functionally impact you in your daily life and in your ability to work. And if you hire a disability attorney, make sure you let them know you have done this so they know to request that information when they obtain medical records. And please disclose EVERYTHING to your attorney. Full disclosure is the only way your attorney can tell you what your legitimate chance of success is. And some long term disability insurance policies provide for payment of LTD benefits to individuals who are unable to perform the material and substantial duties of their own occupation, but can do some other type of work that does not involve the same skill sets or functional abilities (for example, an orthopedic surgeon with an “own occupation” disability policy, may not be able to perform surgery anymore as a result of severe arthritis in his hands, or withstand the stress of an “on call” requirement as a result of a severe cardiac impairment, but can serve as a consultant in a medical practice in a non-surgical capacity.) And others with LTD coverage may not be able to work at all. It depends, and so an experienced disability attorney should review your policy. So, if you are considering applying for any of these disability benefits, please give us a call. The initial consultation is free. Dear Barbara, Handing over my case to Barbara was the best decision. Barbara approached my case in an all-encompassing manner, hiring experts in the field and top doctors. Clients are in the most capable hands with Barbara and her team of attorneys. As an attorney myself, I have been most impressed by Barbara’s broad knowledge of the aspects of disability law and procedure. I always appreciated Barbara’s candor and her devotion to my interests. My disability benefits were reinstated, thanks to Barbara. Mary F.
Dear Barbara, I want to take the time to thank you for representing me in my disability case. We were strangers when we first met. I realize that I was impatient at times thru out this process, and a difficult person to deal with. But you always encouraged me to hold on and keep the faith and never give up. Your knowledge in the system and your caring attitude is second to none. You always made me feel that I didn’t have to walk this road alone. My family and I cannot thank you enough for helping me put my life back together. This was truly a blessing for us. I want to thank you for your patience, understanding and believing that we had a chance to win my case and we did. I wish you well in your practice and for the great legal service you and your firm provided for us. This was a very stressful and embarrassing situation for me. With your support, I made it thru it and we won! Just like you said. I cannot thank you enough. I know you and everyone in your office worked very hard and put a lot time on this case as well as me and were on top of every detail at all times. I want you to know that both my family and myself appreciate your hard work and diligence thru out this ordeal, our feelings are beyond words. We will always consider you part of our family. All the best, Joe B. Law Offices of Barbara B. Comerford is located in Paramus, NJ and serves clients in and around Paramus, Saddle Brook, Little Ferry, River Edge, Oradell, Cresskill, Fair Lawn, Rochelle Park, New Milford, Maywood, Palisades Park, Glen Rock, Emerson, Ridgewood, Elmwood Park, Bergenfield, Ho Ho Kus, Hackensack, Haworth, Dumont, Hillsdale, Lodi, Garfield, Bergen County and Passaic County.